How does vaccinating my pregnant mare benefit my unborn foal? When pregnant mares are vaccinated 4-6 weeks prior to giving birth, antibodies are passed from the mare to the foal through the colostrum in the milk during the first few days of life. These antibodies will help protect your foal in its first several weeks while its immune system is naive. Although the immune system is fully developed in utero, it is brand new – naïve. Each pathogen is new which requires the immune system to process it and manufacture antibodies so that the next time the pathogen appears, the immune system can act more quickly. Often, the slow initial response of a naïve immune system is not enough to mount an adequate response, leaving the foal at the mercy of the pathogen. The mare will acquire antibodies to the environment she lives in which will also be passed to the foal. For this reason it is important that the mare live in the area in which you intend her to deliver in for at least 4-6 weeks prior to the birth of the foal. Also, because the foals immune system is naïve, it is important to keep the area as clean as possible and avoid the introduction of new horses. 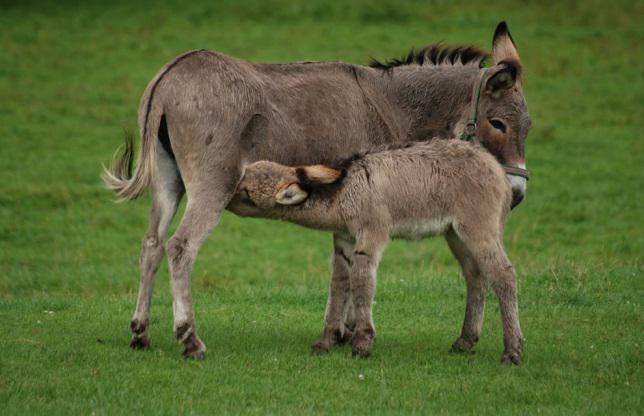 Passive transfer refers to the sharing of antibodies from the mother which provides temporary immunity to the foal. 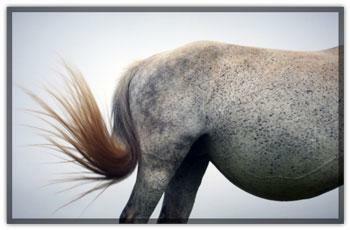 Unlike other species, horses do not receive transfer of antibodies across the placental wall. Therefore, the only way passive immunity is obtained is through the intake of colostrum in the first milk during nursing. What is colostrum and why is it so important? Colostrum is a thick, yellow secretion present in the first milk for several days which is very rich in maternal antibodies and is essential in providing passive transfer to the foal. 3 Without sufficient colostrum, your foal may not be able to defend itself from pathogens. Colostrum is vital in foals because they do not have passive transfer of antibodies via the placenta thus leaving them entirely dependent on passive transfer through colostrum and nursing. What is FPT and when should I treat for it? Failure of Passive Transfer (FPT) is the insufficient absorption or ingestion of antibodies 5 of which, in the case of foals, come from the colostrum. 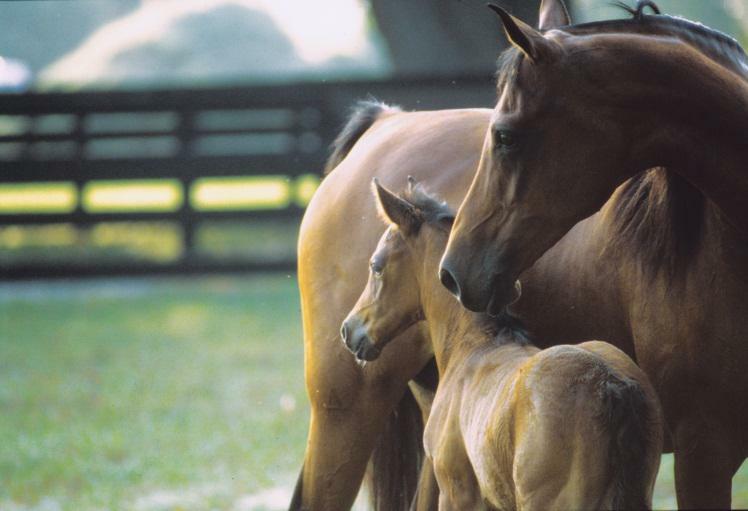 When should I vaccinate my foal? There is no magic age when foals should be vaccinated. Many factors including the risk of disease, virulence of the disease, horse population on the farm, anticipated travel, and risk of the vaccine itself all need to be considered before making a decision to vaccinate your foal. In the Grande Prairie area, our disease risk is not high enough in most circumstances to advocate vaccinating foals under 6 months, however, always consult with your vet to access relevant risk factors and make informed, individual decisions. Stoneham, Sarah J.,2003. Immunological Conditions of the Foal. Foal Care. Pg. 11. Acworth, Nicholas R.J., 2003. The Healthy Neonatal Foal: Routine Examinations and Preventative Medicine. Foal Care. Pg. 11. Blood,D.C, Studdert, V.P, Gay, C.C. 2007. Colostrum. 3 rd Ed. Saunders Comprehensive Veterinary Dictionary Pg.409.Elsevier: Edinburgh. Acworth, Nicholas R.J., 2003. The Healthy Neonatal Foal: Routine Examinations and Preventative Medicine. Foal Care. Pg. 10. Fritz, Nicole. ANHD 2150. Thompson River University, Kamloops, BC. March 2013. Stoneham, Sarah J., 2003. Immunological Conditions of the Foal. Foal Care. Pg. 28.